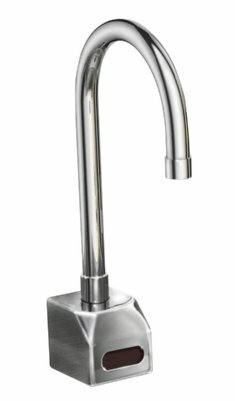 ADA compliant wall mount handwash sink with an AutoFlow™ 100 degree swing down eyewash and sensor faucet. Ideal for in-hospital pharmacies, inpatient treatment centers, institutional, and government facilities. These environments are enhanced by the aesthetic and functional values of this stainless steel wall hung sink with eyewash. 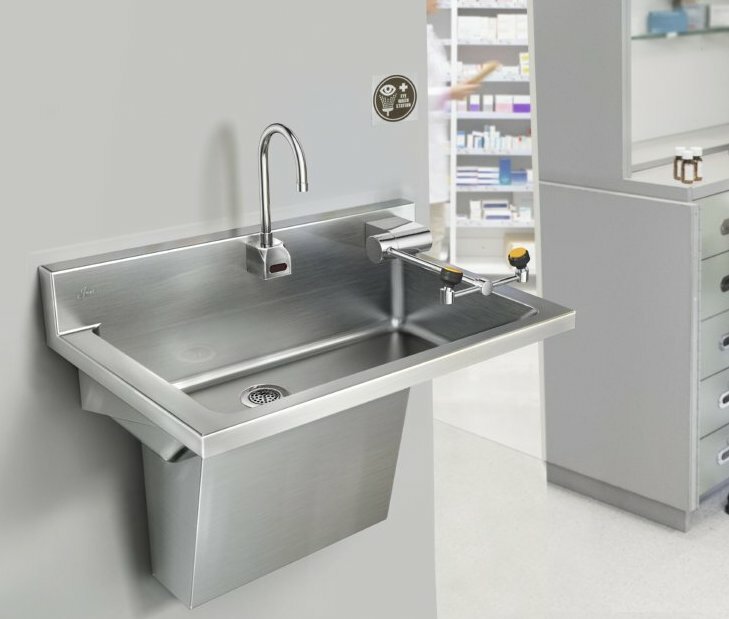 This multi-use unit has been developed to help manage the risks of hazardous materials and waste in accordance with the USP 797 and USP 800 standards, which require that a sink for handwashing must be readily available, along with an eyewash station, in a positive anteroom. These pharmacy sinks are ADA compliant and are equipped with the wall mounted, AutoFlow™ 90º Swing-Down eyewash. Per the The United States Pharmacopeia (USP) standard, a sink must be available for handwashing and an eyewash station and/or other emergency or safety precautions that meet applicable laws and regulations must be readily available. These are required on a national level in pharmacies where certain pharmaceutical compounds are produced. This is per USP 797 - 800. Additional information can be found on at www.usp.org. The Pharmacy Series units are ADA compliant, wall mount, and available in two sizes: 22” x 24" x 6.5"” and 22” x 30” x 6.5”. 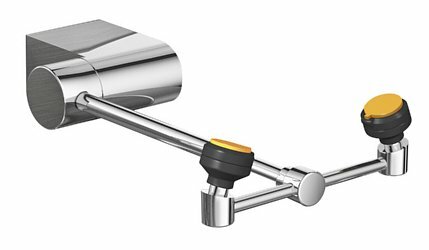 The wall mounted AutoFlow™ eyewash swivels out of the way when not in use. When needed, the spray heads swing down 100 degrees from storage to an operational position, activating the flow of water. 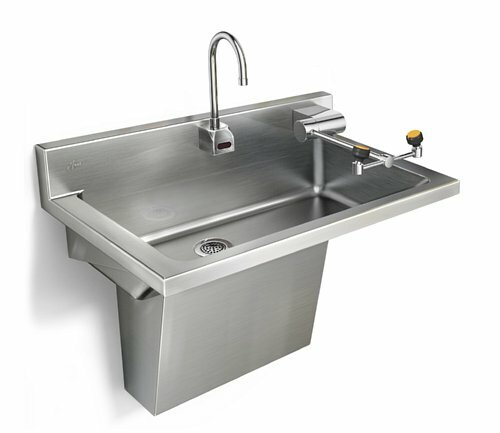 The sink also features an offset drain location to reduce the potential for the aerosolization of pathogens. It is completely factory pre-piped and engineered for problem-free onsite installation and hookup. AutoFlow™ eyewash for mounting on wall. Spray heads swing down from storage to operational position, activating water flow. Wall mounted AutoFlow™ swing-down eyewash. 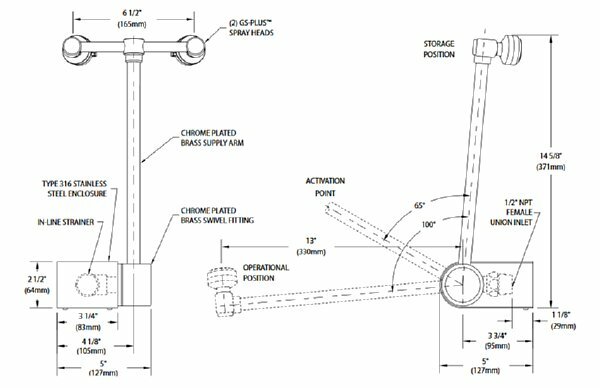 Unit shall have (2) polypropylene GS-Plus™ spray heads with integral “flip-top” dust covers, filters and 1.6 GPM flow control orifices mounted on a chrome plated brass eyewash assembly Activate valve by rotating 90° from stored position. Performance: Unit shall be hydrostatically tested to meet or exceed ANSI Z358.1 – 2014.